The Model 50 is a mid-sized wash plant capable of processing over 50 cu. yards per hour. 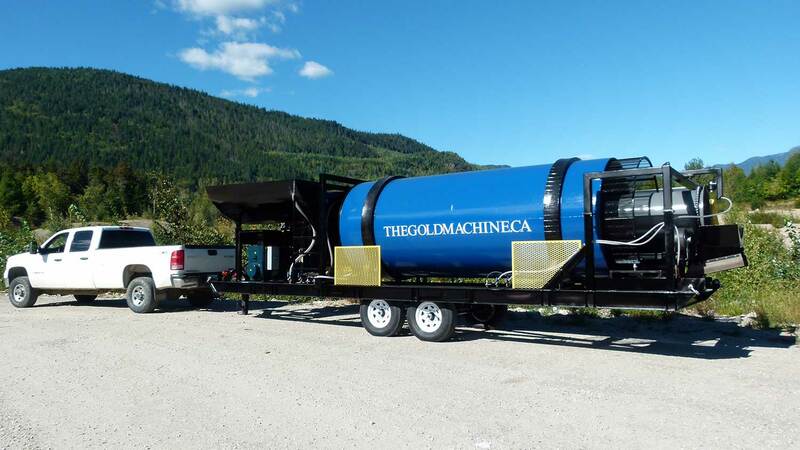 Featuring all the technology that makes every Gold Machine the best machine for gold-recovery, including a vibrating hopper/grizzly capable of 24″ aggregate, this model is the perfect starting point for any serious placer operation. Run by a Kubota Diesel Generator, the system is built on a tridem goose-neck trailer, providing excellent portability and flexibility for all types of mid-scale placer operations. 28 kw Kubota diesel generator with a 15 hp and 5 hp SEW electric drive motors, 24″ tailings conveyor, all sluices and matting. This machine is complete and ready to mine.